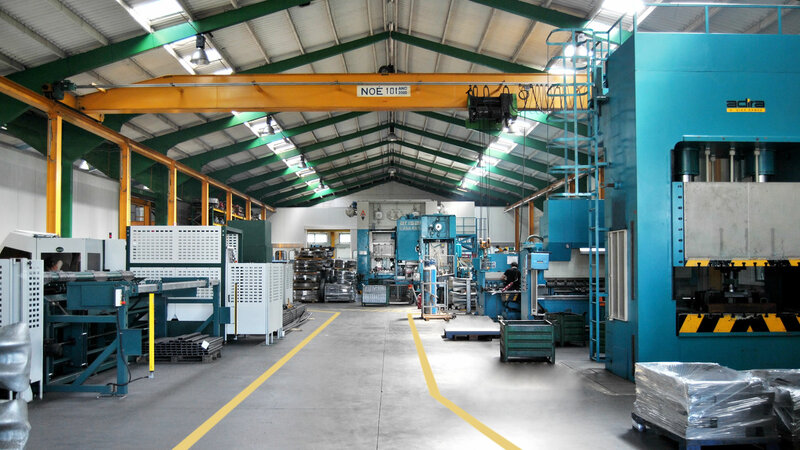 About us - IS3 MetalWorking | Irmãos Sousa, S.A.
IS3 METALWORKING is a Portuguese company, which has been providing different businesses worldwide, for more than 30 years. WE HAVE AN IMMEASURABLE KNOW-HOW IN METALWORKING INDUSTRY. 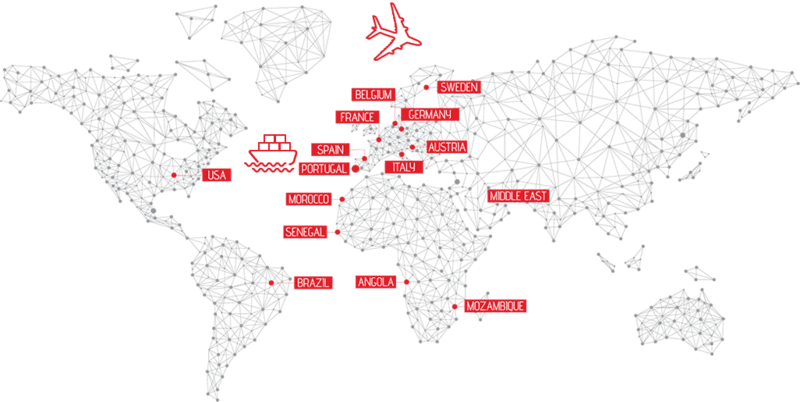 IS3 METALWORKING is a Portuguese company, which has been providing different businesses worldwide, for more than 30 years. With a wide selection of metal parts, directed to different purposes and industries, this company has achieved an immeasurable know-how in the metalworking industry. Its core business is focused on subcontracting, which is translated into producing parts and mechanically-welded assemblies, according to its customers' specifications, offering at the same time all the technical support, necessary for the planning, execution and assembly. Every day its mission is to satisfy its customers by offering them a good quality product in a short time. To achieve this, IS3 continuouslly invests in new solutions and technologies that results in a fast response. IS3 seeks to be an excellence reference in the Metal Industry and in the international market. Being a medium-sized enterprise, this company has numerous growth strategies, drawn to become internationally recognized in terms of mechanical engineering. This strategy includes the investment in new and growing markets in several areas, through a strong marketing action, with the participation in international fairs and prospecting market trips, in a technical and commercial level. Investment in new machinery and manufacturing facilities form part of its short-term goals. This step will create new and better manufacturing conditions that will enhance the quality, capacity and service, that its customers demand. To achieve its objectives, IS3 counts with partners who are distinguished by their full availability and flexibility. "We promise our clients high quality, service excellence and good delivery times! Our main aim is DO MORE AND BETTER!" "Our goal and our ambition is to continue our way, multiplying, in a sustainable manner, the value that contributes to the satisfaction of our customers. IS3 Metalworking is a company with strong and deep roots, which allowed us to leverage a wide range of businesses, from building construction, until railway and automotive industries. So different areas, but at the same time extremely accurate and with high standard demands. In large part, our success is due to our ability to develop internally a strong culture oriented toward change, dynamism and leadership. We have the aspiration to continually growing in size and technology, investing effectively , in order to succeed in higher levels of profitability. Working with customers worldwide, makes us evolve and be willing to be and do better every day, and this is our maxim. Here, there isn't the idea of ​​superiority! We hear each other within our organization and all have a word to say, in order to have the best feedback from each sector. Even because companies are the people, without them, they are nothing and they only worth for its employees. This is the message I transmit them and this is how they all can "embrace" this organization as if it was their family. Without them, none of this would be possible, so to all our employees, customers, suppliers and partners a big thank you to everyone." 2012 EN ISO 3834-2 certification: Quality requirements for fusion welding of metallic materials: Manufacture of components for steel structures, machinery and railway vehicles. Equipment for assembly lines for the automotive industry. - Part 2: Quality requirements and certification of welding manufacturer. 2008 Acquisition of a laser cutting machine for tube / profile which comes to optimize the production. Result of management model consolidation and qualitative performance, took place the bet in the demanding market of the automotive industry. 2007 Certification of the Quality Management System NP EN ISO 9001 and welding certification according to DIN 18800-7 Class E.
2006 Purchasing of a computer program to support the production management, Manufacturer PHC. Certification by DIN 18800-7: 2002-09 / Class C.
2003 Acquisition of a new unit for rolls for cranes production - being the only supplier of this product range for a French multinational customer. 2000 At this stage, the company has as main goal, due to the expansion of its capacity production, the achievement of new markets, such as Africa and Asia. 1999 Great step in innovation and organization, with the implementation of a computer system for inventory management, accounting and human resources. 1994 Significant exportation increase to Germany and Italy, mainly on building construction sector. At this point, the international market represented 60% of total turnover. 1989/1990 Stabilized level of investments, seeking mainly to turn the production profitable, which resulted in a increasing of 45% in turnover, compared to the year 1988. 1988 With a growing presence in international fairs in France, Belgium, Germany, England, Holland and Spain, the external market already represented 22% of total turnover share. 1987 Entry into the European market, with the participation in exhibitions fairs in Spain (start with a specific acessory for the building construction) and Belgium (accessories for the automotive industry). 1978 The very young Jose Fernando Moreira de Sousa, 17, started in a small workshop with only 10 m2, manufacturing for jewelery industry, small industrial tools such as dies and cuttings. One of our main strategies, is to expand internationally our activity. Today, IS3 has several countries with which it operates actively. Our know-how has become known not only in neighboring countries but also in more distant ones. In each of these markets, we have multinational customers, which gives us prestige, learning and at the same time, raises the level of demand. 75 IS3 has more than 70 employees distributed through the various functions and still has the support of other external professionals, such as medicine at work, health and safety, law, accounting, technical advice and maintenance equipment. 95% Our exports are mainly for the German, French and Brazilian markets. 2x We have two production units 2 km distance between them.